Federation Training has announced that its Managing Director of 20 months, Jonathon Davis, will leave the institute on Thursday 15 February 2018, for family reasons. Davis’s wife became seriously ill last year and he took extended leave to care for her. The Managing Director’s role at Federation Training is a particularly demanding one, both physically in terms of the travel given its geographical coverage, and in context of our Victorian TAFE sector during a time of significant rebuilding. After much reflection, I know the time is right to prioritise my wife’s recovery. …the curriculum has been realigned to focus on job-ready outcomes, student enrolments are now growing and our management team and teaching staff are externally focused, collaborating with industry and our Gippsland community. Grant Radford, currently acting CEO at Chisholm Institute, will take over as interm CEO on 19 March. Until then Virginia Simmons, formerly CEO of Kangan and Chisholm Institutes, among other roles, will fill the role. An executive recruitment agency has been engaged to oversee the process of appointing a permanent Chief Executive Officer, “consistent with selecting the best possible candidate to lead us into the future”. Federation Training was created through the amalgamation on 1 May 2014 of Advance TAFE and GippsTAFE. The Commonwealth Government has released discussion papers on unduly short VET courses and training product reform. The consultation paper on unduly short courses follows ASQA’s report in June 2017 that recommended defining and setting of mandatory training requirements under certain circumstances and related obligations for providers. ASQA made three recommendations. ASQA proposes that a definition of the ‘amount of training’ that focuses on supervised learning and assessment activities be included in the Standards for Registered Training Organisations (RTOs) 2015, the Standards for VET Accredited Courses 2012, the Standards for Training Packages 2012 and the Training Package Development and Endorsement Process Policy. the Standards for Registered Training Organisations (RTOs) 2015 which refers to an amount of training but does not describe its components. As the AQF range applies to qualifications rather than units of competency, there is no guidance at all provided to training product developers, RTOs, learners or regulators about the expected volume of learning for each unit of competency. In the absence of any specific guidance to RTOs or the regulators about the amount of training required specific to the training package qualifications and units of competency, there can be differing professional judgements between RTOs and the regulator about the required amount of training. There is inconsistency in how ‘amount of training’ is regulated for training packages and accredited courses (the two types of nationally recognised training products). While training packages mostly do not set requirements for duration, accredited courses must include nominal times. ASQA proposes the development of a risk-based approach to the inclusion of an appropriate amount of training when training packages are revised or developed by industry reference committees (IRCs). Previous reviews by ASQA have provided evidence of risk to quality in a number of sectors—aged and community care, early childhood education and care, security operations, equine programs, construction safety and training and education—and these sectors are identified in the recommendations as priorities and could be considered by their IRCs for the inclusion of a mandatory amount of training. poor-quality assessment practices and inadequate trainer and assessor competencies as identified in ASQA’s previous strategic reviews. The level of risk posed by unduly short courses increases where there is a correlation between short duration and high enrolment numbers. As AQF Certificate lll and Diploma courses are the most widely utilised Australian VET qualifications, impact of unduly short courses is potentially significant. ASQA proposes that RTOs would be required to publish a product disclosure statement (PDS) that includes the range of learning activities expected for each training product on their scope of registration. The PDS, to be developed by the Australian Government Department of Education and Training (the department), would be available on RTO websites and the RTO’s entry on the My Skills website. Competition is currently not driving up quality—consumers do not have sufficient information to make informed choices, due to inconsistency in how courses are advertised, use of different terminology and meanings of duration, and different measures of time making direct comparisons difficult. There are lessons from overseas to improve this. Assigning a credit value to individual qualifications helps prospective learners and employers understand their relativity and the likely time involved in the learning and assessment process. The diversity of RTOs’ advertising about course duration makes comparisons challenging and some RTOs do not advertise course duration at all. The My Skills website includes course duration information that is voluntarily self-reported by RTOs. While this provides some information to consumers about the available offerings, its value is limited. Not all RTOs report duration, and where they do, it is not presented consistently in a way that enables comparisons to be made. Also absent is information about what industry regards as the appropriate duration of courses. Submissions on the discussion papers will be open until 9 March 2018 and can be made via a submission portal – www.education.gov.au/VET-consultation. 895 Australians have been recognised with Orders of Australia on Australia Day 2018, 641 In the General Division (basically, civilians). As always, members of the tertiary education sector featured strongly in the honours list, with 119 awards (about 19% in the General Division), particularly in the upper categories. People associated with the tertiary sector received 11 out of the 16 Companion awards (68%), 27 out of 68 Officer awards (40%), 62 of 170 Member awards (36%), for 40% of the higher awards (a proportion which has actually increasing considerably over time) . 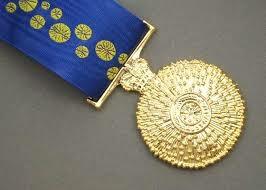 In the most common category, Medal of the Order, only 19 of 387 awards were tertiary sector related people (5%). Academics obviously have a very high level of nominations and the nominators are obviously, as you would expect, very good at putting together the applications. Not so women who continue to be under represented with30% of all awards, mainly in the Medal category. Only a couple of the tertiary sector awards were to people in the VET sector and there weren’t many schhol teachers. It’s puzzling to many observers that prople on prestigiuos jobs and on generally high incomes (judges and lawyers, professors and doctors) get big gongs for doing their day jobs for a long while punters who give a lifetime’s service in a voluntary capacity (say, in the CWA, the Guides and Scouts, local sporting organisations and charities) get the lesser awards. You don’t see too many punters above AM. For eminent service to science as a physicist, researcher and academic in the area of technological development and communications, to business as an innovator and enabler of emerging technologies, and to the promotion of philanthropy. Visiting Fellow, ANU College of Physical and Mathematical Sciences, Australian National University..
For eminent service to mechanical and aerospace engineering, and to education as an academic, researcher and author, particularly in the area of aircraft structural mechanics, corrosion repair and airworthiness. Professor of Mechanical and Aerospace Engineering, Monash University. For eminent service to psychiatry, particularly psycho-oncology and palliative medicine, as an educator, researcher, author and clinician, and through executive roles with a range of national and international professional medical bodies. Head of Psychiatry, School of Clinical Sciences, Faculty of Medicine, Nursing and Health Sciences, Monash University. For eminent service to education, particularly in the field of social history, as a leading academic, researcher and author, as a contributor to multi-disciplinary curriculum development, and through the promotion of history to the wider community. Professor of History, School of Population and Global Health, University of Melbourne. For eminent service to science, and to education, particularly in the area of ocean thermodynamics, as an academic, and researcher, to furthering the understanding of climate science, and as a mentor of young scientists. Scientia Professor of Physical Oceanography, School of Mathematics and Statistics, University of New South Wales. For eminent service to science through pioneering contributions to organic chemistry in the field of plant growth hormones, to higher education as an academic, researcher and author, and to national and international scientific societies. Emeritus Professor, Research School of Chemistry, Australian National University. For eminent service to science, and to scientific research, particularly in the field of biochemistry and protein crystallography applied to drug-resistant bacteria, as a role model, and as an advocate for gender equality in science. Director, Griffith Institute for Drug Discovery, Griffith University. Foundation Director, Remote Operation Crystallisation and X-ray Diffraction Facility, University of Queensland. For eminent service to scientific technological research and development in the field of polymer chemistry, to its application in the biomedical, electronics and nanotechnology context, as an author, and through mentorship roles. Adjunct Professor, Monash University. For eminent service to medicine, particularly to the discipline of neurosurgery, as an academic and clinician, to medical research and professional organisations, and to the health and welfare of current and former defence force members. Director, Monash Institute of Medical Engineering, Monash University. For eminent service to medical research, and to education in the field of gastroenterology and epidemiology, as an academic, author and administrator at the national and international level, and to health and scientific associations. Pro Vice-Chancellor (Global Research) and Laureate Professor, University of Newcastle. For eminent service to medicine, particularly to the prevention and treatment of substance use disorders, as a researcher and author, to innovative mental health policy development, to education, and as a role model for young researchers. Principal Research Fellow, – National Drug and Alcohol Research Centre, University of New South Wales. For distinguished service to psychiatry, particularly in the area of dementia and the mental health of older persons, as an academic, author and practitioner, and as an adviser to professional bodies. Foundation Professor of Ageing and Health, University of Melbourne. For distinguished service to maritime law through roles with a range of organisations, to the improvement of global shipping transport safety and standards, and to education as an academic and author. Member, Board of Governors, World Maritime University () (Malmo, Sweden). For distinguished service to science education as an academic, author and researcher, particularly in the field of synthetic organic chemistry, to scientific institutes, and as a mentor of emerging scientists. Professor of Chemistry, Leader – Synthesis and Mechanism, Australian National University. For distinguished service to higher education administration, and in the field of mathematical physics, particularly statistical mechanics, as an academic and researcher, and through contributions to science policy reform. Vice Chancellor, 2008-2014, Flinders University. For distinguished service to spatial information architecture as an academic, researcher and author, and as an innovator in the application of digital manufacturing and construction methods. Professor, Urban Futures, Faculty of Architecture, Building and Planning, University of Melbourne. Founding Director, Spatial Information Architecture Laboratory, RMIT University. For distinguished service to legal education, and to the law, as an academic, author and administrator, through advisory roles, and to safety standards in the transport industry. Dean and Robert Garran Professor of Law, 1998-2012, Australian National University. For distinguished service to primary industry, particularly to sustainable agricultural production, as an academic and researcher, and through the facilitation of training programs and scholarships in developing countries. Professor of Sustainable Agricultural Production, 1996-2011. Adjunct Professor. University of Adelaide. For distinguished service to Australia-Papua New Guinea relations, particularly in the area of the geological sciences, and to education as an academic, author and researcher. Professor of Geology, 1989-2012, University of Papua New Guinea. For distinguished service to medicine, particularly to the discipline of pathology, through leadership roles, to medical education, and as a contributor to international public health projects. Clinical Professor of Medicine, University of Sydney. For distinguished service to sports medicine, particularly in the area of injury prevention, as an educator, researcher and author, and to the promotion of improved health in athletes and those who exercise. Director, Australian Centre for Research into Injury in Sport and its Prevention, Federation University. For distinguished service to medicine in the field of clinical microbiology, particularly to infectious diseases in reproductive and neonatal health as a physician, administrator, researcher and author, and to professional medical organisations. Honorary Professorial Fellow, Department of Obstetrics and Gynaecology, University of Melbourne. For distinguished service to medicine, particularly to reproductive endocrinology and andrology, as a clinician, author and researcher, to the science of doping in sport, and to medical education. Professor in Reproductive Endocrinology and Andrology, Sydney Medical School, University of Sydney. For distinguished service to higher education administration, to medicine through contributions to a range of professional medical associations, and to the community of central Victoria, particularly as a general practitioner. Chancellor, Federation University Australia, since 2012. For distinguished service to medicine, particularly to reconstructive and craniofacial surgery, as a leader, clinician and educator, and to professional medical associations. Honorary Clinical Professor, Department of Paediatrics, current and Associate, since 1981, University of Melbourne. For distinguished service to medicine, particularly to cardiac electrophysiology as a clinician and academic, and through roles with a range of national and international heart rhythm societies. Professor of Medicine, University of Melbourne, since 2002. For distinguished service to medicine and medical education, particularly in the field of cognitive and behaviour therapy, as an academic, researcher and author, and to professional associations. Deputy Head and Director of Clinical Programs, Faculty of Medicine, Nursing and Health Sciences, Centre for Developmental Psychiatry and Psychology, 1989-2008, Monash University. For distinguished service to higher education, particularly to the social sciences, as an academic, researcher and author, and through contributions to historical organisations. Professor of History, School of Historical and Philosophical Studies, since 2013, University of Melbourne. For distinguished service to industrial relations education as an academic, researcher and author, through contributions to international arbitration foundations, and as a mentor of young academics. Emeritus Professor, Faculty of Economics and Business, since 2009, University of Sydney. For distinguished service to ophthalmology as a clinician, particularly in the management of age-related macular degeneration, through research into public health and ophthalmic epidemiology, and as an educator. Professor, Clinical Ophthalmology and Eye Health, Westmead Clinical School, University of Sydney. For distinguished service to higher education through senior academic management positions in Australian universities, and to a range of community and church organisations. Chancellor, 2006-2010, Deputy Vice-Chancellor, 1995-1997, University of Canberra. Vice-Chancellor and President, University of New England, 1997-2006. For distinguished service to science in the field of photonics research and development, as an academic, and to the telecommunications industry through advisory roles and board memberships. Co-Founder and Technical Director, Optical Fibre Technology Centre, University of Sydney, 1988-1995. Director, Sydney Node, Australian Photonics Cooperative Research Centre, 1991-1995. For distinguished service to medical research into the biology of ageing and lifespan extension, as a geneticist and academic, to biosecurity initiatives, and as an advocate for the study of science. Professor, School of Medicine, University of New South Wales, since 2011. Professor, Harvard Medical School. For distinguished service to education, particularly in the field of geotechnical engineering, as an academic and researcher, to professional associations, and as a mentor of young engineers. : Laureate Professor of Civil Engineering, Faculty of Engineering and the Built Environment, since 2008. Professor, 1998-2008. University of Newcastle. For distinguished service to medicine as an infectious disease physician and microbiologist, particularly to the advancement of health policy in the area of antimicrobial resistance, and to professional medical organisations. Chair, Expert Advisory Group on Antimicrobial Resistance, 2001-2010, National Health and Medical Research Council. For distinguished service to dentistry, and to dental science education, as an academic and author, to improved health and safety standards, and through roles with professional associations. Professor, Dental Science, current. Head, School of Dentistry, 2004-2013. University of Queensland. 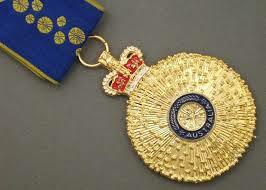 For significant service to the community of the Hunter, to business development and medical research, and to the law. Conjoint Professor of Practice, School of Law, Faculty of Business and Law, since 2014. Member, Advisory Board, Faculty of Business and Law. University of Newcastle. For significant service to education administration in rural New South Wales, to training programs for Indigenous students, and to the community. TAFE NSW: Regional General Manager, since 2016. Institute Director, 2010-2016. For significant service to science in the field of entomology as a researcher, and to the forestry industry both nationally and internationally. Commonwealth Scientific and Industrial Research Organisation (CSIRO): Honorary Fellow, since 2002. Research Scientist, Division of Entomology, 1969-2002. For significant service to medicine in the field of paediatric orthopaedics as a surgeon, to medical education, and to professional medical societies. Senior Clinical Lecturer, University of Sydney, since 1987. Adjunct Clinical Associate Professor, since 2012. University of Notre Dame, Sydney. For significant service to medical administration and emergency medicine, to education and health system design, and to the community. Inaugural Professor of Emergency Medicine, University of Melbourne, since 2014. Past Inaugural Professor of Emergency Medicine, Southern Clinical School, Monash University. For significant service to the geological sciences as an academic, researcher and author, to professional groups, and to the community. University of Sydney: Honorary Research Associate, School of Geophysics, 1975-1989, and currently. Coal Research Fellow, 1958-1960. Lecturer, 1960-1965. Senior Lecturer, 1965-1975. For significant service to information technology and telecommunications, to education, to the visual arts, and to Australia-Asia cultural relations. Professor, Strategic Management and Technology, School of Systems, Management and Leadership, University of Technology Sydney, since 1999. For significant service to environmental science and education as an academic, author, and mentor, and to zoology and conservation. University of Western Sydney: Emeritus Professor, since 2011. Professor, Urban Sustainable Environmental Management, Bond University, 2012-2015. For significant service to legal education through executive roles, to the law as a practitioner, and to professional standards. Chief Executive Officer and Principal, The College of Law, since 1991. For significant service to nursing, and to nurse education, particularly in the field of drug and alcohol care, and to Indigenous health projects. University of Adelaide: Adjunct Professor, School of Nursing, since 2015. Professor of Drug and Alcohol Nursing, 2008-2015. Flinders University: Joint Chair, Professor of Drug and Alcohol Nursing, School of Nursing and Midwifery and Alcohol Services SA, 2000-2008. For significant service to medicine in the field of anaesthesia as a clinician, to medical education in Tasmania, and to professional societies. Clinical Senior Lecturer, School of Medicine, University of Tasmania, current. For significant service to architecture, industrial design and to the built environment, to education, and to professional institutes. Queensland Institute of Technology: Head, School of the Built Environment, 1975-1979. Acting Head, Charles Fulton School of Architecture, 1972-1975. Member, Academic Board, 1972-1979. University of Queensland: Member Faculty Board, 1973-1977. For significant service to education in the field of biochemistry and molecular biology, as an academic and researcher, and to scientific Griffith University: Emeritus Professor, current; Professor, 2008-2017, Griffith University. For significant service to education, to teaching English as a second language, through educational programs for refugees, and to social justice. Australian Catholic University: Honorary Fellow, current. Lecturer in Teacher Education, 1992-2015. University of Sydney: Lecturer, School of Education and Social Work, since 2012. Teaching Fellow, English Department, 1970-1974. For significant service to environmental science and natural resource management, particularly to marine biodiversity, coastal ecology, fisheries and sustainable agriculture. Adjunct Principal Research Scientist, Centre for Tropical Water and Aquatic Research, James Cook University, since 2015. For significant service to the law, to legal standards, education, and specialist accreditation, and as a practitioner in the areas of negotiation and dispute resolution. Adjunct Professor, School of Law, La Trobe University, since 2002. For significant service to the telecommunications industry through roles in broadband infrastructure and network development, and to the energy supply sector. Adjunct Professor, Network/Communications Technologies, Business Models, Project Management, University of Canberra, since 2005. For significant service to education as an academic administrator, as a clinician in the field of gastroenterology, and to educational institutions in the Asia-Pacific. Monash University: Deputy Vice-Chancellor and Vice-President (Education), since 2017. University of Melbourne: Emeritus Professor, since 2017. Deputy Provost and Deputy Vice-Chancellor (International), 2014-2016. Deputy Vice-Chancellor (Engagement), 2012-2014. Deputy Vice-Chancellor (Global Engagement), 2009-2012. Pro Vice-Chancellor (Teaching, Learning and Equity), 2008-2009. For significant service to the mining sector through a range of roles, to higher education, to philanthropy, and to the community. Chancellor, Murdoch University, since 2013. For significant service to the broadcast. Pro Chancellor, Charles Sturt University Sydney, since 2014. Council Member and Deputy Chair, Audit and Risk Committee, 2002-2014. For significant service to aged welfare, to the provision of pioneering palliative care programs, to medical education, and to the community. University of Melbourne: Chair, Advisory Committee, Centre for Palliative Medicine Foundation, 2008-2014 , University of Melbourne. : Chair, Victorian Planning Advisory Committee, Australia Catholic University, since 2015. Member, Victorian Chapter, since 2006. For significant service to biomedical engineering, and to education, as an academic and researcher, to medical equipment design, and as a mentor. Service includes: University of Southern Queensland – Faculty of Engineering and Surveying: Emeritus Professor, since 2016. Honorary Professor, Biomedical Engineering, 2003-2012. Professor and Chair in Biomedical Engineering, 1996-2003. Laerdal Chair of Biomedical Engineering, 1996-2001. Associate Dean, Resources, 1988-1996. For significant service to medicine in the field of plastic and reconstructive surgery as a clinician and administrator, and to medical education. Clinical Associate Professor, University of Sydney, current. Founding Chairman, Sydney Burns Foundation – a Division of the Medical Foundation Sydney University, 2008-2014. For significant service to medicine in the field of gynaecological oncology as a clinician, to cancer support and palliative care, and to professional groups. University of Western Australia: Clinical Professor, Division of Obstetrics and Gynaecology, since 2004. Adjunct Professor, School of Anatomy, Physiology and Human Biology, since 2003. Lecturer, School of Biomedical Sciences, Curtin University, 1996-2002. For significant service to medicine in the fields of intensive care and nephrology, as an administrator, and to medical research and education. Affiliation not known. For significant service to community health, specifically to workforce management and administration, to policy reform, and to medical education. Adjunct Associate Professor, Department of Healthcare Management, Flinders University, current. For significant service to wildlife preservation and to the environment through leadership and advocacy roles, and to education. University of Melbourne: Melbourne Enterprise Professor of Environmentalism, since 2016. Public Policy Fellow – Environmentalism, Melbourne Sustainable Society Institute, 2014-2016. For significant service to the community, particularly to education, heritage preservation, infrastructure and financial planning, and to public administration. Deputy Vice-Chancellor, Victoria University, 2006-2012. For significant service to the visual arts, and to education, as an academic, and as a contributor to a range of cultural institutions and associations. Queensland College of Art: Past Deputy Director, Research and Postgraduate Studies. Past Deputy Director, Teaching and Learning. Lecturer and Professor of Fine Art, 1970-2016. For significant service to the community through support for refugees, as a contributor to social welfare assistance organisations, and to education. Education: Teacher, Queensland Department of Education, 1998-2002. Lecturer/Senior Lecturer, University of New England, 1990-1997 and intermittently, 2003- 2014. Teacher, New South Wales Department of Education, 1982-1989. Teacher, Australian Capital Territory Department of Education, 1969-1981. Teacher, Papua New Guinea Department of Education, 1963-1968. For significant service to rehabilitation medicine as a practitioner, to medical education and professional organisations, and to the Zoroastrian community. Conjoint (Honorary) Lecturer, Rehabilitation Medicine, University of NSW, current. For significant service to medicine through the management and treatment of melanoma, as a clinician and administrator, and to education. Adjunct Professor, Monash University, since 1997. For significant service to medical research in the field of cancer and cell biology, as a scientist and author, to medical education, and as a mentor. National Health and Medical Research Council: Senior Principal Research Fellow, since 2004. Principal, 2001-2003 Senior Principal Research Fellow, SA Pathology, 2001-2013. University of South Australia: Senior Principal Research Fellow, since 2014. Chair of Cancer Biology and Research Professor of Cell Biology, since 2014. Affiliate Professor, University of Adelaide, since 2001. For significant service to history, and to higher education, as a researcher, author and educator, and through advisory roles for arts funding programs. Service includes: Queensland University of Technology: Emeritus Professor, since 2001. Foundation Professor and Head, School of Cultural and Policy Studies, 1991-1996. Professor, School of Language and Cultural Studies, 1997-2001. University of Wollongong: Coordinator, Equity in Education Program. Deputy Head, School of Learning Studies. Lecturer, 1984-1989. Associate Professor, 1989-1991. For significant service to veterinary science as a clinician, to education as an academic, researcher and author, and to professional associations. Southern Cross University: Associate Professor and Specialist Veterinary Pathologist, Graduate Research College and Veterinary Pathology, circa 2002-2009. James Cook University: Associate Professor and Founding Head, Pathology Department, Post Graduate School of Tropical Veterinary Science, 1993-1998. Senior Lecturer, 1971-1983. For significant service to the higher education sector, particularly to international student recruitment, and to export market growth. Service includes: University of New South Wales (UNSW): Vice-President, Advancement, 2012-2017. Chief Executive Officer, UNSW Foundation, 2012-2016. Pro-Vice Chancellor (International), 2006-2012. Executive Director, UNSW International, 1998-2006. Queensland University of TechnologyCoordinator, International Relations Unit, for 7 years. Employee, 1987-1997, including at Brisbane CAE, 1987-1989. For significant service to medicine, particularly in the fields of anaesthesiology, liver transplantation, and transfusion medicine. Un iversity ? For significant service to the community as an advocate for Indigenous cultural heritage and intellectual property rights, and to education. Service includes: Associate Professor, Indigenous Engagement, Office of Indigenous Engagement, Central Queensland University, current. Adjunct Associate Professor, Centre for Social Responsibility in Mining, University of Queensland, current. Visiting Fellow, United Nations University – Institute of Advanced Studies, current. James Cook University: Adjunct Professor, Cairns Institute, since 2010. Coordinator and Lecturer, Aboriginal and Torres Strait Islander Participation, Research and Development Centre, 1992-1994. Governor-In-Council appointee, Council, 1995-1997. Lecturer, Division of Education, Brisbane College of Advanced Education/Griffith University, 1988-1990. For significant service to the law and to the judiciary through the Supreme Court of Victoria, and to a range of cultural, arts and education institutions. Affiliation not known. For significant service to medicine in the field of clinical paediatrics, child development, and public health policy, as a researcher and academic. Honorary Professor of Paediatrics, University of Melbourne, current. For significant service to health administration through the leadership and development of research institutes and public and private hospitals. Adjunct Professor, School of Medicine, University of Queensland; Adjunct Professor, Faculty of Health, School, Public Health and Social Work, Queensland University of Technology Adjunct Professor, Griffith Business School, 2009-2013. For significant service to education as an academic specialising in sports law, and through roles with integrity, anti-doping and appeals tribunals. Service includes: University of Melbourne: Honorary Senior Fellow, Sports Law Program, Melbourne Law School, current. Senior Lecturer and Director of Studies, Sports Law Program, Melbourne Law School, 1987- 2016. For significant service to education through fundraising and student scholarship support, to the community through the not-for-profit sector, and to rugby union. University of New South Wales: Board Member, UNSW Foundation, since 1997. Emeritus Member, Lexcen Sports Scholarship Committee, current. For significant service to the medical profession particularly through governance in the areas of general practice and medical education. Adjunct Associate Professor, General Practice, University of Sydney, since 2009. For significant service to animal welfare and the ethics of scientific research, and to veterinary science as an academic and clinician. Conjoint Professor, Prince of Wales Clinical School, University of New South Wales, current. For significant service to music education in South Australia, particularly through curriculum development at the tertiary and secondary levels. University of Adelaide: Visiting Research Fellow, current. Deputy Director (Teaching and Learning), Elder Conservatorium of Music, 2009-2015 (retirement). Head of Undergraduate Music Programs, 2009-2015. Senior Lecturer in Music Education, 1994-2014. Lecturer, 1985-1994. For significant service to medicine in the field of neuroscience through research into spinal cord injuries and mechanisms protecting the developing brain, and to sailing. University of Melbourne: Head, Developmental Neuroscience and Neurotrauma Laboratory, Department of Pharmacology and Therapeutics, School of Biomedical Sciences, current. Professorial Fellow, Neuroscience, since 2002. For significant service to the law and to the judiciary in Victoria, to the administration of justice, independent court governance and legal reform, and to education. Adjunct Professor, Faculty of Business and Economics, Monash University, 2009-2014. For significant service to women’s rights and migrant advocacy, and to higher education and skills based training. Deputy Director-General, TAFE Educational Services, Department of Education and Training, New South Wales Government, 1997-2001. Director, South Western Sydney Institute of TAFE, 1992-1997. Former Member, Commonwealth Tertiary Education Commission; Former Member, TAFE Advisory Council; Former Member, Advanced Education Council. Former Chair and Member, National Vocational Education, Employment and Training Women’s Taskforce. Principal, Meadowbank College of TAFE, late 1980s to 1991. Senior Executive, Department of Technical and Further Education, New South Wales Government, 1986 to late 1980s. For significant service to the health sector through executive roles, to tertiary education, and to the community of Western Australia. Curtin University of Technology: Pro Chancellor, since 2013. Council Member, since 2008. For significant service to agriculture specialising in soil science, to education as an academic and administrator, and to the Catholic Church in Australia. Dean, School of Agriculture, Riverina-Murray Institute of Higher Education (now Charles Sturt University), 1982-1990 and appointed, Professor of Agriculture, 1990. Principal Lecturer, School of Agriculture, Riverina College of Advanced Education, 1976. Principal Lecturer, Wagga Agricultural College, 1973-1975; Senior Lecturer, 1971-1973. For significant service to medicine as a general practitioner, to medical education, to professional organisations, and to the community. Australian National University: Honorary Associate Professor, Academic Unit of General Practice, Medical School, since 2010. Consultant, Academic Unit of General Practice and Community Health, School of Medical School, 2003-2007. Associate Professor, Rural Clinical School, Medical School, 2007-2008. For significant service to dentistry in the field of craniofacial biology, and to dental education through research, teaching and mentoring roles. : University of Adelaide: Emeritus Professor, current. Professor, Dental Science, 1994-2017. Director, Assessment, School of Dentistry, 2007-2016. Leader, Craniofacial Biology and Dental Education Group, 2010-2016. Lecturer, Oral Anatomy, 1978. For significant service to science in the field of marsupial reproductive biology and ecology, as a researcher and mentor, and to professional societies. Australian Academy of Science: Council Member, 1992-1995. Vice-President, 1993-1994. Fellow, since 1986. Committee Member, current. CSIRO: Honorary Fellow, 1995-2005. Inaugural Director, Cooperative Research Centre for Biological Control of Vertebrate Pest Populations, 1992-1995. Chief Research Scientist, Marsupial Biology Group, Division of Wildlife Research, 1976-1995. CSIRO Fellow, 1994-1995. For significant service to medicine in the field of obstetrics, particularly complex pregnancies, as a clinician, consultant and academic. Clinical Professor, Department of Medicine, University of Melbourne, current. For significant service to medicine, particularly in the field of neurotrauma, as a researcher, author, educator and advocate, and to the community. Pro Vice-Chancellor, Health Sciences, University of South Australia, since 2014. University of Adelaide: Chair, Neurosurgical Research, 2005-2015. Director, Adelaide Centre for Neuroscience Research, 2009-2013. Head, School of Medical Sciences, 2006-2013. Vice President, Florey Research Foundation, 2010-2013. Deputy Executive Dean, Faculty of Health Sciences, 2008-2012. Head, Department of Physiology and Pharmacology, Associate Professor and Senior Lecturer, James Cook University Townsville, 1988-2001. For significant service to international affairs, through Australian defence, foreign policy and conflict prevention studies, as an analyst and academic. Service includes: Adjunct Associate Professor and Senior Fellow (Non-Resident), Alliance 21 Program, United States Studies Centre, University of Sydney, since 2015. Adjunct Associate Professor, Centre for International Security Studies, University of Sydney, 2007-2015. For significant service to science in the field of biotechnology, as an academic, researcher, author and mentor, and through executive roles with scientific institutions. Service includes: University of Sydney: McCaughey Professor in Biochemistry, since 2015. Honorary Professor, Royal Prince Alfred Hospital, 2010-2015. Professor of Biochemistry and Molecular Biotechnology, current. For significant service to chemical engineering education as a researcher, mentor and academic, and to professional organisations. University of Melbourne: Dean and Professor of Engineering, 1997 – 2002. Head of Department of Chemical Engineering, 1982 – 1996. For significant service to geriatric and rehabilitation medicine, as a clinician and academic, and to the provision of aged care services. Professor of Geriatric Medicine, School of Public Health and Preventive Medicine, Monash University, since 1997. For significant service to criminology and psychology through the development of security and crime science education. University College London: Director, Jill Dando Institute of Crime Science, since 2010. Head, Department of Security and Crime Science, since 2010. Professor of Crime Science, since 2010. Griffith University: Adjunct Professor, Key Centre for Ethics, Law, Justice and Governance, current. For service to medical education, particularly to rural health. Service includes: University of Melbourne: Professor of Medicine and Deputy Head, Department of Rural Health, since 2003. Contributed to the establishment of the Rural Clinical School and the Murray to Mountain Rural Intern Training Program in North-East Victoria. For service to medicine, and to medical education. Associate Professor and Sub-Dean, Calvary Hospital Campus, Medical School, Australian National University, 2008-2011. For service to the building and construction industry, and to education. Queensland University of Technology: Adjunct Associate Professor, School of Science and Engineering Faculty, Civil Engineering and the Built Environment, since 2013. Sessional Lecturer, 2008-2011. Course Content Reviewer, Bachelor of Urban Design Course, current. Mentor in Career Mentor Scheme, since 2011. For service to medicine as a geneticist, and to medical education. Adjunct Professor, Department of Medicine, Monash University, ongoing. Honorary Senior Lecturer in Paediatrics, Melbourne University, 1992-2000. Honorary Senior Lecturer in Paediatrics, Monash University, 1992-1999. For service to medicine as a paediatrician. Clinical Senior Lecturer, Department of Paediatrics, Faculty of Medicine, University of Adelaide. Visiting Lecturer, School of Medicine, Department of Paediatrics, Flinders University. For service to medicine, particularly to doctors in rural areas. Rural Teacher and Clinical Supervisor, Australian National University, since 2006. For service to medicine, particularly to neurosurgery. Conjoint Associate Professor, University of New South Wales, current. For service to the community of the Northern Territory. Charles Darwin University: Consultant, Northern Institute, 2011-2012. Lecturer, 1988-1993. For service to chiropractic medicine, and to education. Service includes: Central Queensland University: Head, Chiropractic Discipline, 2015-2016. Associate Professor, current. Macquarie University: Head, Department of Chiropractic, 2006-2012. For service to emergency medicine, and to professional organisations. Associate Professor, Griffith University School of Medicine, since 2006. Member, Research Investment and Advisory Committee, Australian e-Health Research Centre, CSIRO, since circa 2004. For service to education, and to mathematics. Service includes: University of New South Wales: Honorary Associate Professor, School of Mathematics and Statistics, since 2005. Associate Professor/Senior Lecturer/ Lecturer, 1971-2005. For service to medicine in the field of colorectal surgery. University of Adelaide: Research Fellow, The Queen Elizabeth Hospital, 1997-1998. Clinical Senior Lecturer, since 2001. Lecturer, Accident/Emergency Nursing Diploma, University of South Australia, 1997-1998. For service to education, and to Japan-Australia relations. Southern Cross University, (SCU), Lismore Campus: Lecturer in Japanese, Faculty of the Arts, New England University of the Northern Rivers, since 1993. For service to ophthalmology, and to the development of overseas aid. Associate Professor, Centre for Eye Research Australia, University of Melbourne, since 2005. For service to dentistry, particularly to endodontology. School of Dentistry, University of Queensland: Seminar Presenter, Endodontic Post-Graduate Program, 1990-2001. Undergraduate Clinical Supervisor, 1974-1984. For service to Indigenous education. Service includes: Founder and Head, Aboriginal Teacher Education Project, Mount Lawley College of Advanced Education (now Edith Cowan University), 1973-1985. Senior Lecturer, School of Community Studies, Edith Cowan University, Bunbury, 1986-1991. For service to adult education. Sydney Community College: Foundation Principal, since 1986. Director of the Board, current. Adult Learning Australia: President, 2005-2008. Board Member, 1999-2008. TAFE New South Wales: Member, Accreditation Council, 2005-2014. Deputy Chair, Sydney Institute Advisory Council, 2005-2012. For service to medicine, particularly to gastroenterology. Clinical Associate Professor, University of Melbourne, 1988-2006. For outstanding public service to vocational education in New South Wales. Mr Collins has shaped vocational education and training (VET) in New South Wales, and at a national level, for over 12 years. With his strong leadership, clear communication, negotiation talents and ingenuity he has secured over $1 billion in funding for New South Wales, and delivered on programs that ensure the state continues to remain at the forefront of VET. Acquire Learning, which has been teetering on the edge of the abyss for some time, has tumbled into voluntary administration. The appointed administrator says recent regulatory changes appear to have had a significant impact on Acquire’s business model. Acquire Learning was an education broker and recruitment service that marketed on behalf of certain RTOs who were responsible for accepting and finalising the enrolments, although it did eventually acquire its own two training providers. Acquire’s website and social media accounts have been suspended for months, the registration of its Asia Pacific Training Institute was cancelled and its Franklyn Scholar college had approval to deliver diplomas withdrawn by ASQA in March. It is being pursued by the Australian Competition and Consumer Commission (ACCC) in the Federal Court (a decision in the case is pending) for alleged unconscionable conduct and last week its subsidiary pulled out of a $1 million a year sponsorship deal with the Carlton AFL club. Acquire’s business model was to buy the names of jobseekers from job search websites, particularly then News Corporation owned CareerOne, in which Acquire took a controlling interest in 2015 and full control in 2016. Acquire would then cold-call the job-seeker and use alleged high-pressure tactics to sell them expensive courses, of up to $52,000 funded via VET FEE-HELP, with the lure of a job at the end. This business model was smashed by a crackdown late last year by the Commonwealth Government on the marketing of vocational education and the replacement of VET FEE-HELP with a much more tightly managed scheme on 1 January, including limiting the cost of courses to between $5000 and $15,000. The administrator of the business said while the exact causes of Acquire’s problems are yet to be identified, it appeared that regulatory changes had a significant impact. The voluntary administrator said CareerOne would continue to operate, and Acquire Learning’s 40 employees would continue to be employed while it conducted its investigation.